We are so excited to be starting rehearsals for The Wizard of Oz next month. In the meantime, we have made some of the material available online, until the librettos arrive. Click here to access the rehearsal material. The pictures above are from the Victor Harbor Christmas Pageant 2013. 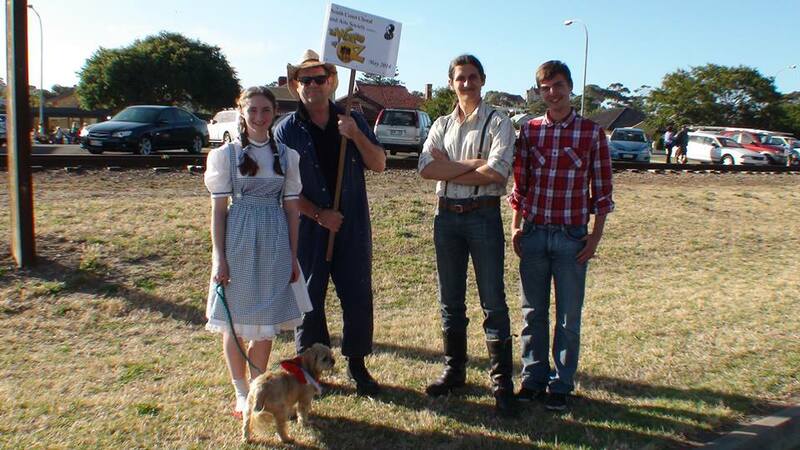 Pictured are Kathryn Adams (Dorothy), Philip Ziakas (Lion), Daniel Jorgensen (Scarecrow) and JJ Geelen (Director).